Oil & Natural Gas Producing Properties. 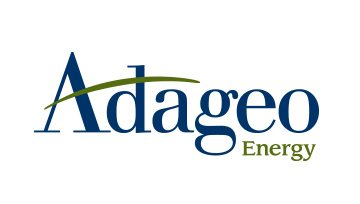 Adageo Energy acquires underdeveloped and undervalued assets located in established fields, primarily in the lower 48 states. These producing properties provide immediate cash flow potential as well as contribute to our portfolio’s long-term value with the presence of untapped reserves. Our properties feature ongoing, cost-effective management measures including conducting secondary recovery and uphole recompletions. These efforts help to maintain or lengthen the wells’ performance capabilities and maximize total return on investment. Oil & Natural Gas Property Development. Ongoing property development is a critical factor for maintaining and/or increasing portfolio value. Adageo Energy focuses exclusively on developmental drilling in established, proven-producing fields. Infrastructure Investments. Infrastructure investments, such as oil and natural gas delivery pipelines, are often overlooked as viable energy investment opportunities. Adageo Energy understands that the success of many proposed oil and gas development projects depend on these critical delivery systems. Targeted investments in such systems provide attractive revenue potential and can be an important part of a diversified energy portfolio. Alternative Energy. According to the International Energy Agency, a projected $1 trillion will be invested in renewable energy sources by 2030. These investments will be driven by potentially higher oil and natural gas prices as well as growing world energy demand. In addition, technological innovations continue to reduce the price premium for renewable and alternative energy sources. Adageo Energy is on the leading edge of expanding our portfolio to include alternative energy projects such as wind, biomass, and solar. With a strong combination of financial and technical expertise, we leverage our experience in the energy sector to convert acquisition opportunities into profitable ventures across our entire portfolio. Our diversified asset portfolio features multiple revenue streams from both traditional and alternative energy projects.